SKY News will cover ANZAC Day commemorations from 4am with national and global dawn services, marches and memorial services including the Gallipoli Dawn Service, Villers-Bretonneux Dawn Service, the Australian Memorial Service at Lone Pine and the National ANZAC Day ceremony in Canberra. 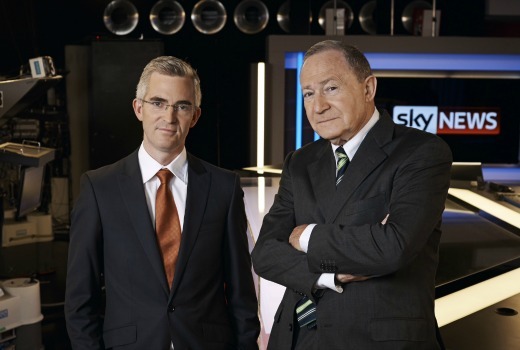 Join SKY News anchors David Speers and Steve Liebmann on Saturday April 25 as they present First Edition Live from the Australian War Memorial in Canberra. The Live coverage commences from 4:00am with the Auckland Dawn Service, followed by the Sydney Dawn Service at 4:30am then the Canberra Dawn Service at 5:30am from the Australian War Memorial. From 10:30am Live coverage continues with the National ANZAC Day Service in Canberra, including the official march, commemorative address and wreath laying ceremony. Throughout the morning First Edition will cross to SKY News reporters around Australia as they cover local ANZAC Day marches as the entire nation pays tribute to those who made the ultimate sacrifice. Ahron Young reports Live from Gallipoli throughout the day. At 12:30pm we take you to ANZAC Cove for the Gallipoli Dawn Service, followed by the Villers-Bretonneux Dawn Service in France at 1:30pm. At 6:00pm SKY News takes you back to Gallipoli for the Australian Memorial Service at Lone Pine. Throughout the day SKY News anchors Stan Grant and Sharon McKenzie will present Live coverage from around the nation from the ANZAC War Memorial in Sydney. At 8:00pm, a special ANZAC DAY Centenary edition of Paul Murray Live will be broadcast from Canberra. Paul will also present his Friday night program on the eve of ANZAC Day from the Australian War Memorial. From 6:00am on Friday April 24, A-PAC becomes Australia’s ANZAC Day channel across the weekend, featuring encore presentations of ceremonies throughout the day on Saturday including the New Zealand Memorial Service at Chunuk Bair at 8:45pm. SKY News will also feature extensive ANZAC Day coverage online from Gallipoli and around the nation atwww.skynews.com.au/anzacday2015 including retrospective videos featuring descendants of the original ANZACs as they share their family stories.